Disclaimer: this pocket square rack and jacket hanger were sent at no cost to me in exchange for an honest review. I’ve followed Dapper Woodworks on Instagram for a while, admiring the craftsmanship from afar. 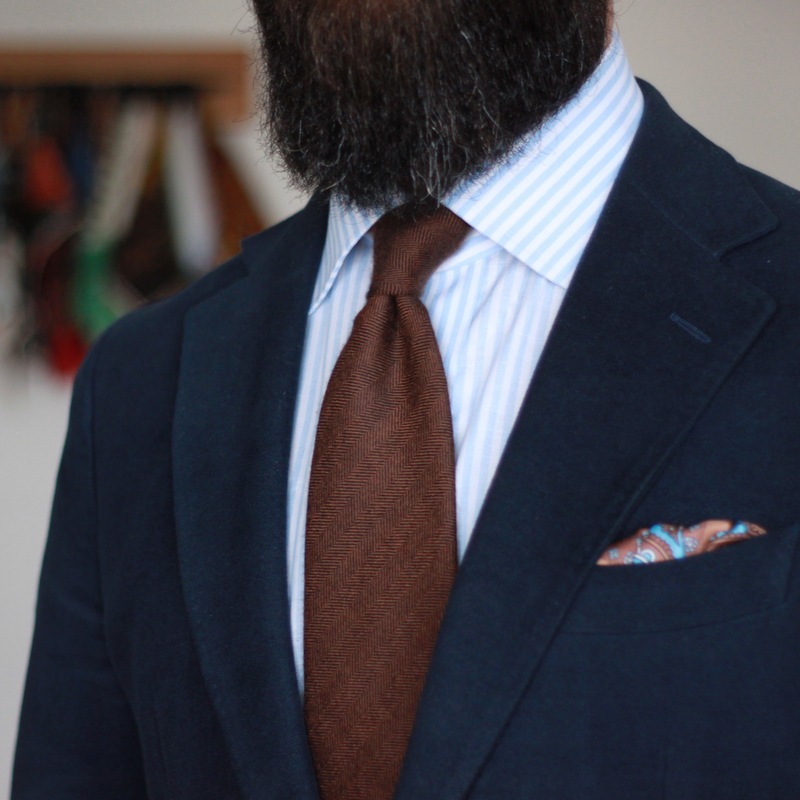 Funny thing – I didn’t really know I needed a pocket square rack until Justin reached out to me about a review. Up until recently, my pocket square collection was stored in a pile on a shelf in my closet. Invariably, I’d knock a few on the ground anytime I was rooting through the pile to find a particular square. I know, right? I’ve shattered the polished image I try to present to the world through Instagram. Sorry! Justin also offered to include a jacket hanger, which I was excited about. 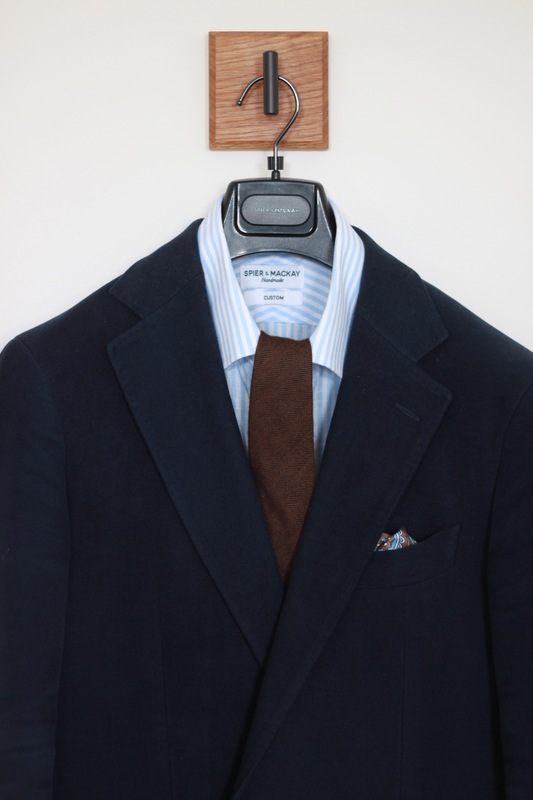 Jesse (@burzanblog) has featured some great shots of his sport coats hanging from a Dapper Woodworks hanger, so I immediately saw the photography potential. I had the pocket square rack and jacket hanger in my possession for at least two weeks before I finally installed them. These pieces were a source of much discussion between my wife and I. My position was that I wanted it to be functional and accessible. I also shared that beyond the review, I had plans for these pieces to be featured in photography. This meant I needed access to natural light, and hanging in the back of the closet wouldn’t do. After a couple of rounds of holding it up, I was able to convince her by hanging a half dozen pocket squares on it and holding it up that it wouldn’t just look like a random piece of wood with a bar on it. I love my wife. Not just because I got my way, but because she understood how I would use these pieces for my Instagram and blog, and is a massive source of support for both. So now, my Dapper Woodworks pieces are currently hanging on a wall in our bedroom, faced by three large windows. Everything arrived well packaged. The jacket hanger was presented in a small branded cloth bag that included the mounting template and all hardware. Another bag contained 20 pocket square clips. The pocket square rack itself was wrapped in tissue paper, and the whole box was filled with packing peanuts to ensure safe delivery. I also received a handwritten note from Justin. Those little touches are always nice. 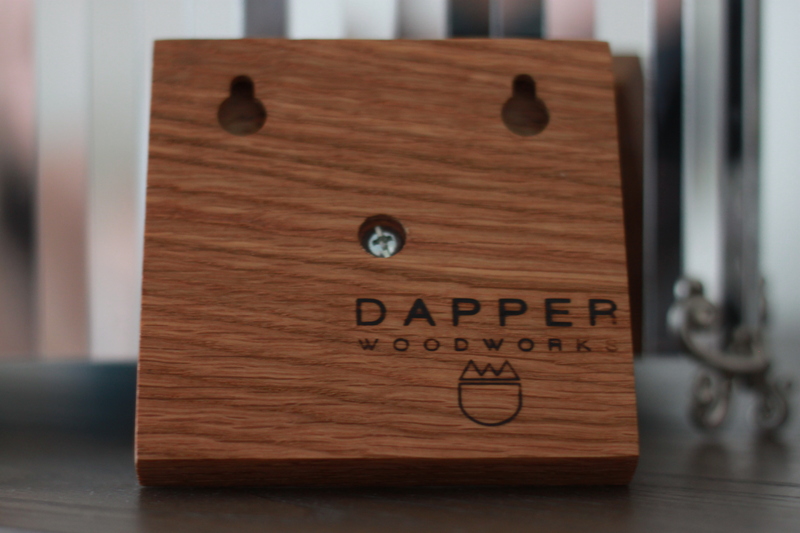 Dapper Woodworks offers a ton of custom options. I decided on a white oak with a natural finish, adorned with matte black hardware. White oak is a favourite wood – it always has such beautifully defined grain, and the finish always brings out that wonderful depth. Other options include cherry, bubinga, walnut, maple and sometimes cool, random selections that Justin happens to come across. If you don’t already, go follow on Instagram @dapperwoodworks. With the beautifully crafted hangers, Dapper Woodworks provides a really handy template, sized for each piece to mark where you’ll be hanging them. 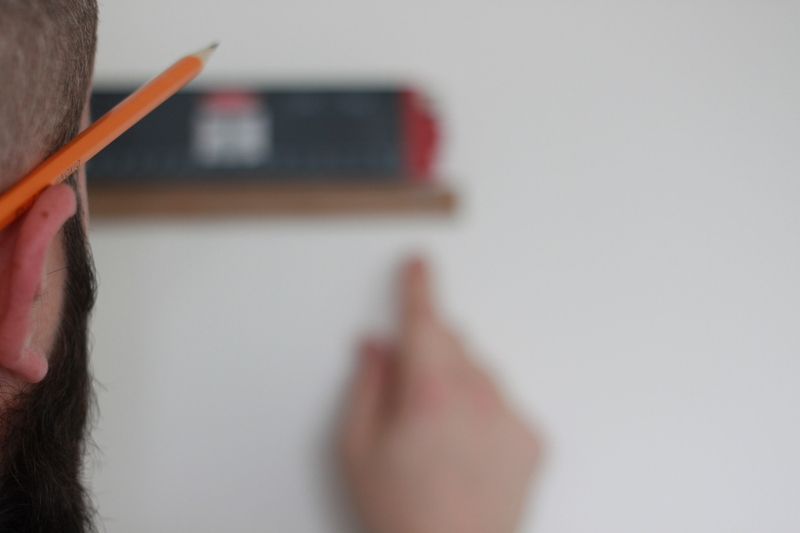 They also provide wall anchors and the screws you’ll need. All in all, installation took 10 minutes, including picture time. I ended up mounting them side by side, but had considered mounting the pocket square rack below the jacket hanger and having a wall-mounted butler stand. Justin had beat me to the idea and shared a pic of his setup. Since the whole point was to eliminate the pocket square pile, I stuck with the original intention. Beginning the process of hanging all my pocket squares. Twenty clips wasn’t quite enough for the entire collection, so a few less frequently used ones are back in the closet on the shelf. Not only does the jacket hanger provide a place to take a photo, but I’ve been using it daily to prepare the next day’s outfit. 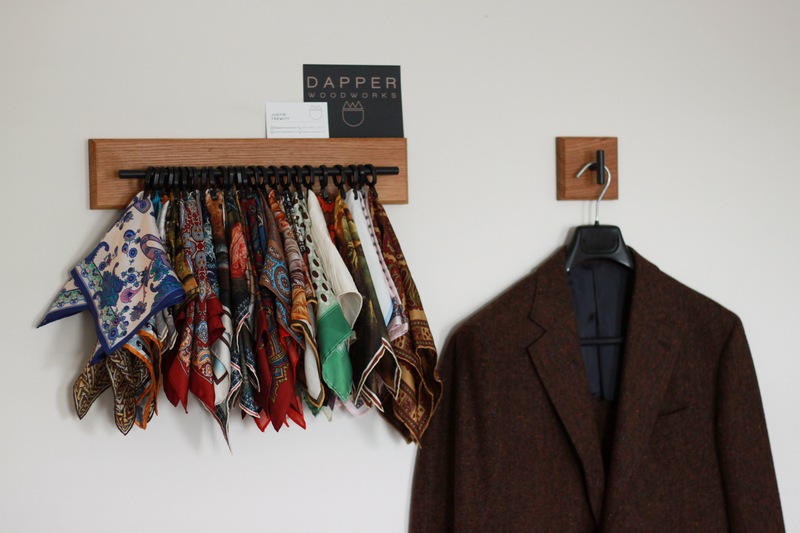 It’s quite helpful to have my entire pocket square collection hanging right beside it so I can try out combinations. I’ve found squares I’d forgotten I owned that were trapped at the bottom of the pile! 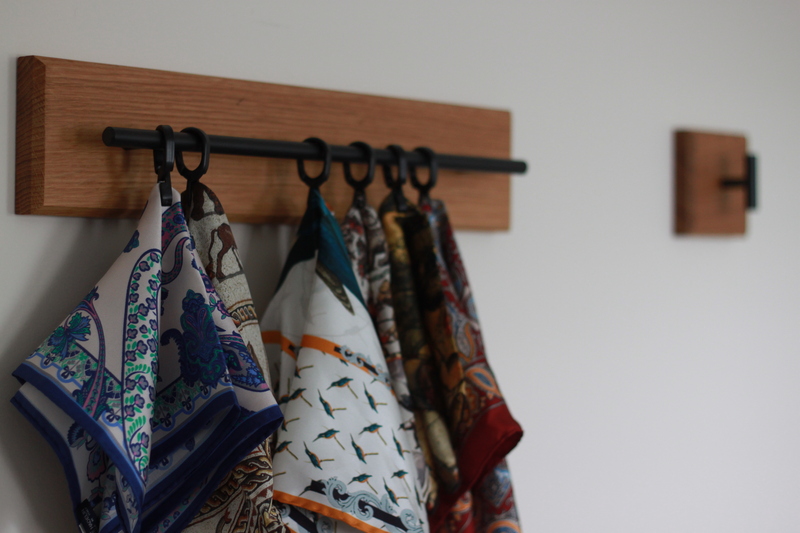 The pocket square rack adds wonderfully colourful bokeh to photographs as well. Yes. 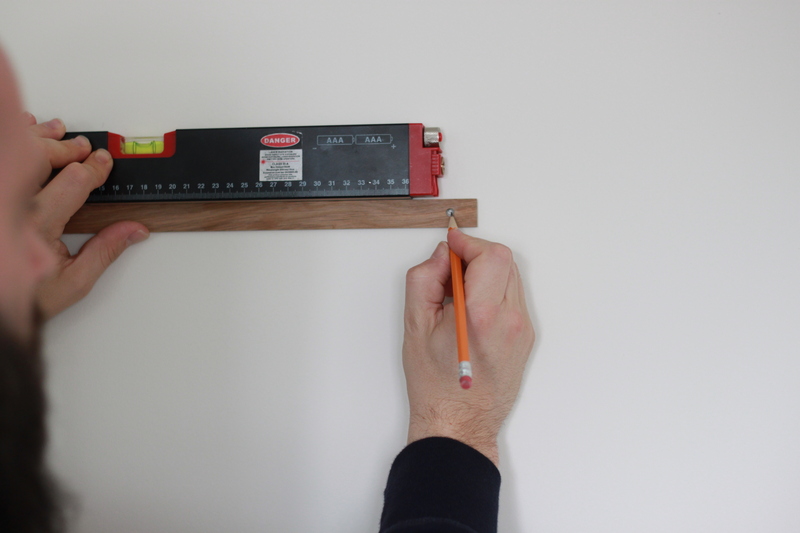 If Dapper Woodworks makes it, you can be sure it will be stylish and functional. 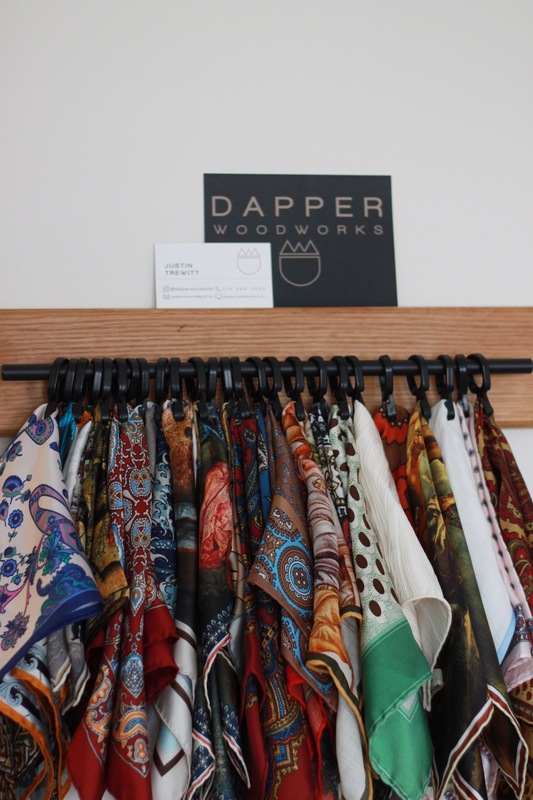 You can purchase directly from Dapper Woodworks, but a number of other fine retails carry his wares: notably Olof1982, Oxford Rowe, the Hanger Project, and a couple of others.